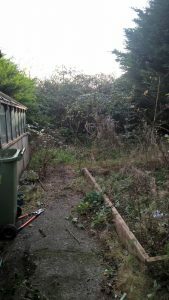 Grounds and Gardens was contacted by an organisation called Care and Repair to see if we could facilitate a garden clearance for one of their clients. A decision had been made by Steven’s care team that his garden was very important to him; it’s a memorial to his late parents. Steven keeps pictures of how the garden originally looked; well tendered and beautifully designed. Sadly, the garden had fallen into a state of disrepair and this was causing Steven great anxiety. The decision was made by the care team that if his garden was cleared it could be a stimulus for Steven on his journey back to stability and good health. Care and Repair contacted us knowing that as well as having specialist gardening skills, we also have an understanding of mental health and learning disabilities. The work is now complete and both Steven and Care and Repair are absolutely delighted with the standard of work achieved. We’re now on their list of preferred providers which is very important because we’ll be considered for future work. The G&G team wish Steven a steady recovery. 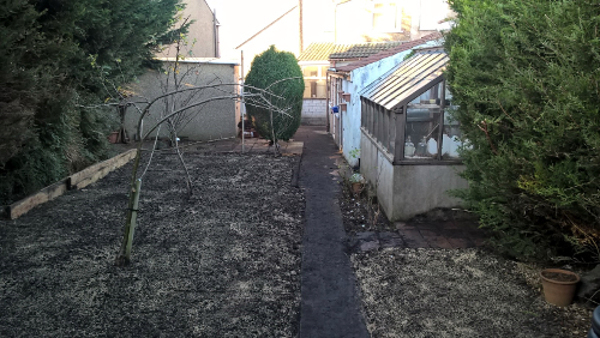 It’s been a pleasure to help return Steven’s garden to how he remembers it.